Though drop-waist elephant pants from Thailand paired with a billowy top from Bali makes for a super comfortable travel outfit — it’s not exactly appropriate for every destination. Some styles are just better suited to hot, sticky days of washing elephants than they are for, say, a client meeting in London. Dresses, however, are the ultimate do-it-all piece. You can slip on a pair of sneakers and grab your backpack for a day of exploring then swap them out for heels and a red lip to be ready for drinks that evening. Add a blazer and the look is immediately professional, whereas a denim or leather jacket slung over your shoulders is a formula for instant cool. The only downside to packing dresses is many are riddled with wrinkles after having spent some time rolled up in your suitcase. 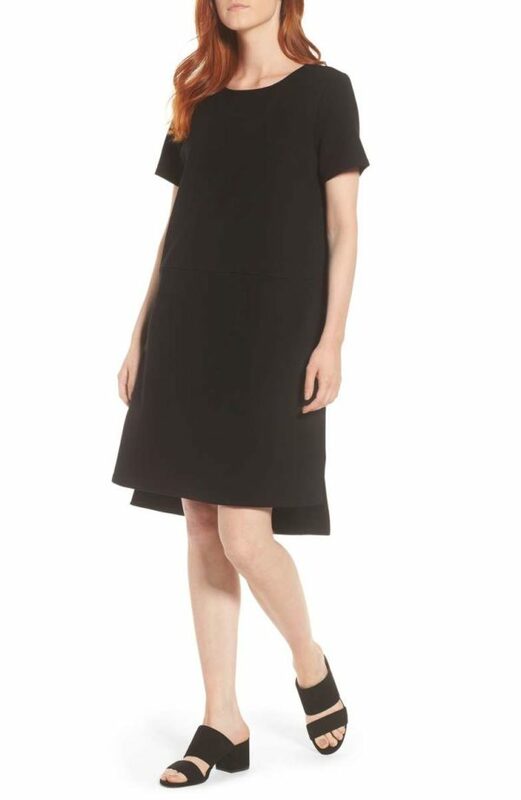 Good news: there are flattering, smooth dresses that come out of your carry-on ready to wear. That means no packing a travel steamer or finding an iron — or jerry-rigging a steam shower in a hotel. Here, alongside some of our own picks, we talked to seven frequent-flying women about the dresses they always pack. For travel blogger Jessica Norah, anything from Fig Clothing — a French-Canadian company that specializes in travel-ready fabrics — is an instant “yes.” In addition to fitting easily into any backpack, roller, or bag, Norah also stresses the brand’s quick-drying capabilities and the stylish, but casual flair. If you’re off to a place with plenty of sunshine, you’ll also appreciate that Fig features UV protection in its collections, too. 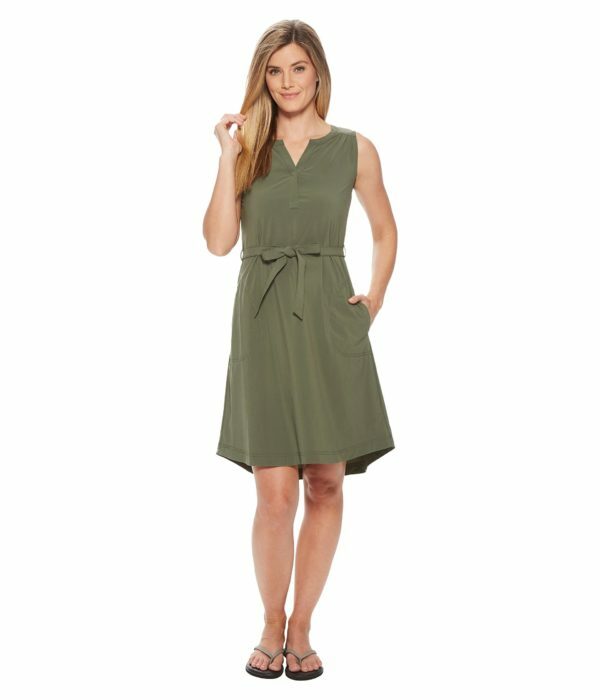 This tie-waist tank dress is designed with a fabric that’s not just wrinkle-proof, but also boasts four-way stretch, stain resistance, and UPF 50+ sun protection — everything a traveler could want in a garment. Everlane’s light, wrinkle-proof Japanese GoWeave fabric turns this classic wrap dress into a vacation essential. It’s available in four styles, both midi and mini, with and without sleeves. When traveling, you’ll want a dress that’s hassle-free and can serve many, many purposes. For LGBT travel blogger Meg Cale, this find from Urban Outfitters checked all both of those boxes. “It easily goes from day to night with a quick change of accessories — and I can also wad it up into a ball and stuff into the bottom of a backpack for a quick change during the day in a bind. And I like that it’s made of a lightweight, ribbed fabric that doesn’t wrinkle or [add] bulk under layers,” she said. There are a few must-haves in any clothing item you take on the road: it has to fold up easily, adjust to any weather condition, and not take up too much space — or weight. As a bonus? It should be flattering, too, of course. 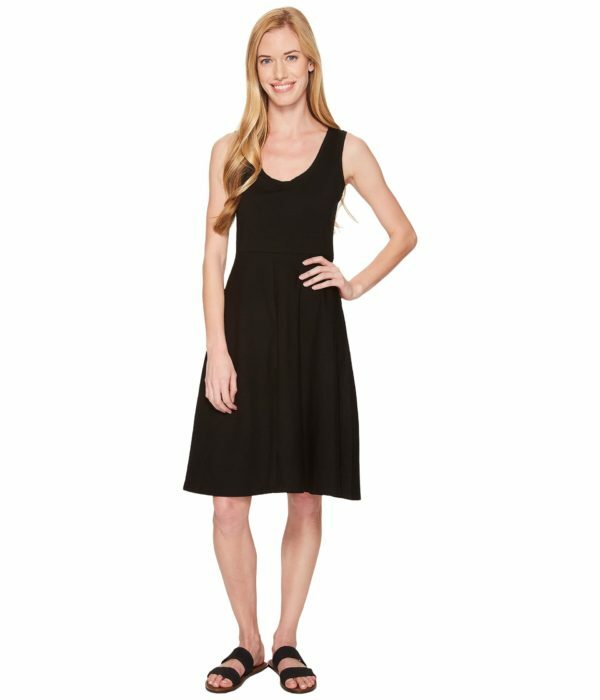 For traveler and author Kelly Hayes-Raitt, this A-line dress delivers on all fronts. “This particular dress is great for my full figure, and it’s lightweight, rolls into a small ball for packing and washes and dries easily,” she said. She also adds it works with or without heels, allowing you to wear it to the beach or out for a five-course tasting. Athleta’s sleek Featherweight Stretch fabric is popular in the brand’s travel line thanks to its breathability and how quickly it dries. Freelance travel writer Kate Winick describes this garment as “a dress meets a kimono meets a coat meets a… whatever you need it to be.” It’s hand-woven and features 100 percent cotton that easily releases wrinkles when you shake it out. 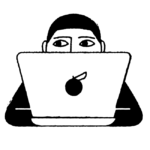 You can also sport it knowing you’re helping to support fair-trade production practices. “It’s made sustainably and ethically in India and comes in a range of gorgeous colors that are easy to mix and match,” she added. 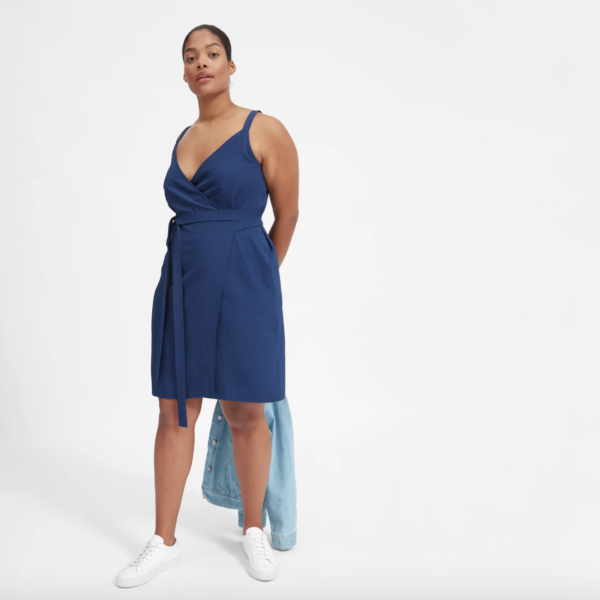 A T-shirt dress that’s breathable and lightweight works in so many scenarios — from a long day of traveling through the sticky-hot airports or Thailand to serving as a date night outfit with a belt and pair of wedges. This one’s made of a Tencel lyocell blend fabric, which feels silky but is actually made from wood and is naturally wrinkle-resistant. According to globe-trotting entertainment reporter Mary Kate Gaffney, Zara’s dresses are not only chic, but aren’t “too thin or too thick, so they never wrinkle.” Gaffney said she’s traveled with numerous dresses from the affordable brand and has always been very pleased with how long they withhold their shape. This article originally appeared on Travel & Leisure.